CABG surgery procedure or Coronary Artery Bypass Graft in full is a surgery that is widely performed around the world. Every year, there are approximately 1 million coronary bypass surgeries performed worldwide. Although the CABG surgery procedure itself is originally used to be available and performed only in advanced countries, it is now a very common practice of heart surgery available in every continent. Being one of the very common heart operation, CABG surgery is usually applied for more severe cases of artery blockage. For mild to moderate artery blockage, balloon angioplasty procedure is generally adopted. Balloon angioplasty procedure is also a widely used method to get rid of coronary artery disease. A tiny balloon is inserted into the narrowed or blocked artery and then inflated to flatten the plaque against the artery wall allowing smoother blood flow. Balloon angiopasty however cannot be performed for severe blockage. This is where a coronary bypass surgery comes in. 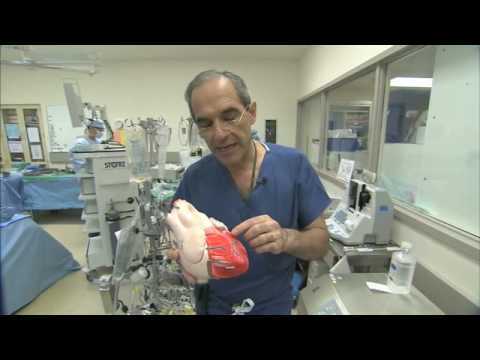 How Does CABG Surgery Procedure Work? Coronary bypass operation works by adding additional vessels to bypass the blocked arteries. These additional vessels that have been added work as alternative routes for the blood to reach the heart muscles bypassing the original blocked route. The most suitable vessels that are normally used for the bypass are saphenous vein from the leg, artery from the chest as well as radial artery from the forearm. During the CABG surgery, the heart surgeon will stop the heart in order to minimize potential damages caused by reduced blood flow. This is helped by the use of a special heart and lung machine. The heart surgeon will implement the additional vessels by sewing one end onto the aorta and the other end onto the coronary arteries creating a bypass. Although there is also another method that allows the heart to continue beating during the surgery called off pump CABG, this method is only applicable for certain groups only. The advantage of this method is that it minimizes potential complications that result following the coronary bypass surgery. Typically, the entire CABG surgery procedure takes about four hours. Patients are then placed in the Intensive Care Unit (ICU) for about 2 days before being transferred to the normal wards for the rest of the stay. The typical length of stay in the hospital is generally up to one week but one to two months is required for full recovery from CABG surgery procedure.